Paint It Pretty Polish is releasing a trio of Valentine's Day polishes on February 8th; they are oh so romantic looking and perfect colours for your Valentine's Day nails! Not that they have to be used only for Valentine's; they are perfect for any time of the year! These colours and finishes will never go out of style either; you'll be using them for years to come...that is til the bottle is finished anyway! The trio of polishes in the Paint It Pretty Valentines Collection 2019** will be available here on February 8, 2019; they will retail for $10 each. First up is Paint It Pretty Polish More Love, Less Paperwork. Shown is two coats, no top coat. Paint It Pretty More Love, Less Paperwork is a magenta base with a tiny drop of violet sparks and holo. Topped with top coat. There were no application issues; two coats gave good opaque coverage. Easy removal and no nail staining. The second of the three polishes is Paint It Pretty Polish Love Without Limits. Shown with two coats, no top coat. Love Without Limits is a light purplish pink with blue to pink shimmers. There were no application or removal issues. No nail staining was experienced. 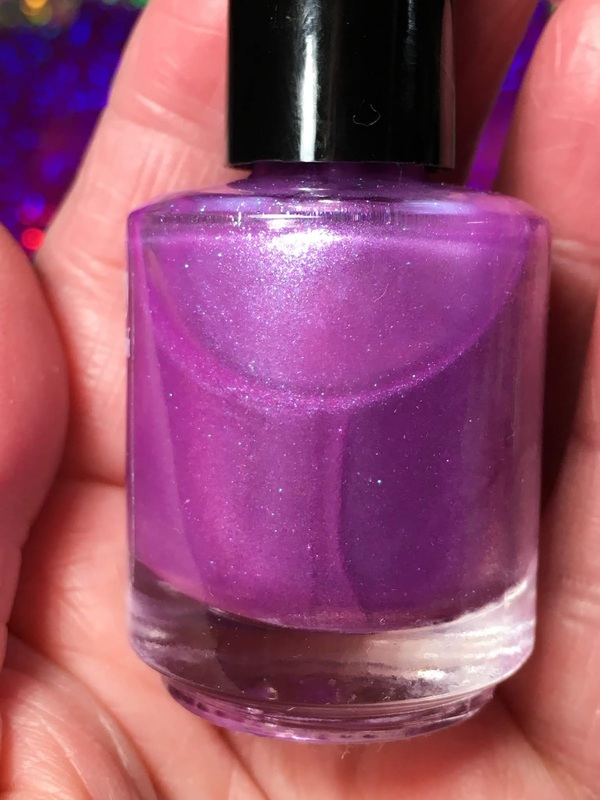 While there was good coverage with two coats with Paint It Pretty Polish Love Without Limited, it was sheer enough to use for some layering and I'll be sharing more nails in an upcoming post so be sure to watch for it! The final polish from the trio is Love Without Limits. Shown is three coats, no top coat. Two coats gave good coverage; however, if you've followed me for long, you know I'm not a fan of visible nail line and it can be exemplified with the lighting so added a third coat. 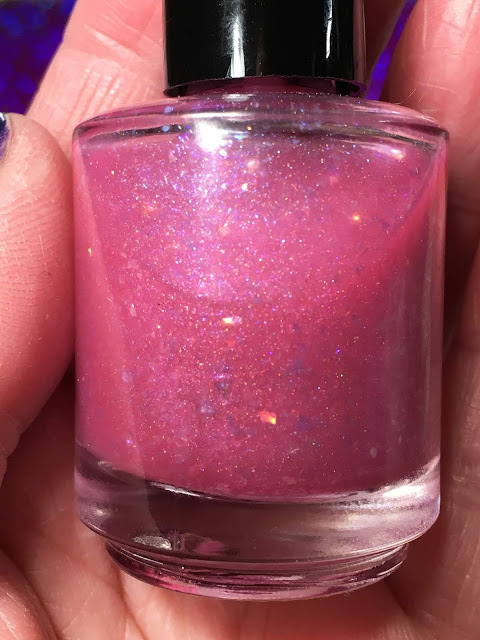 Paint It Pretty Polish Grow Old With Me is a light pink base with purple to red aurora shimmer with blue and aqua sparks and illusion gold flakies. For more pictures of these polishes, please check out the Paint It Pretty Polish instagram account here! I used all of these polishes for some Valentine's Day nail art but as they don't have to be used just for Valentine's Day, I've also done some layering using Paint It Pretty Polish Grow Old With Me and Love Without Limits; I'll be sharing them in the upcoming days. Thank you again to Sherri for giving me the opportunity to swatch these polishes! It is greatly appreciated!